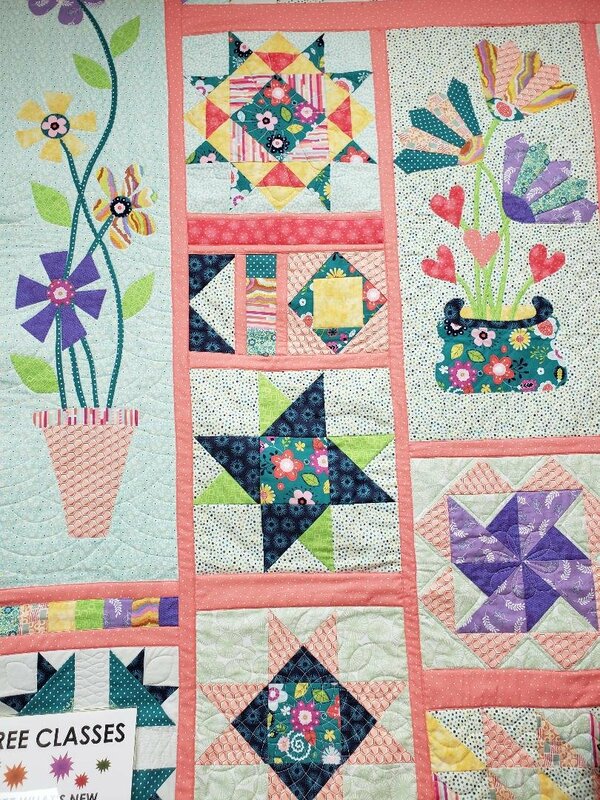 It is a modern take on a sampler quilt, but the best part is the each block is quilted when it is finished. The blocks are assembled into various rows as you go along, and finally the sections come together. The sample showcases everything from basic 'in the ditch', stippling, Westerlee and Handi Quilter ruler work and more. Anything goes! Although this sample mixes them up, feel free to quilt to your own skill level. P.S. the Sampler isn't finished. We saved the applique borders to show in class.